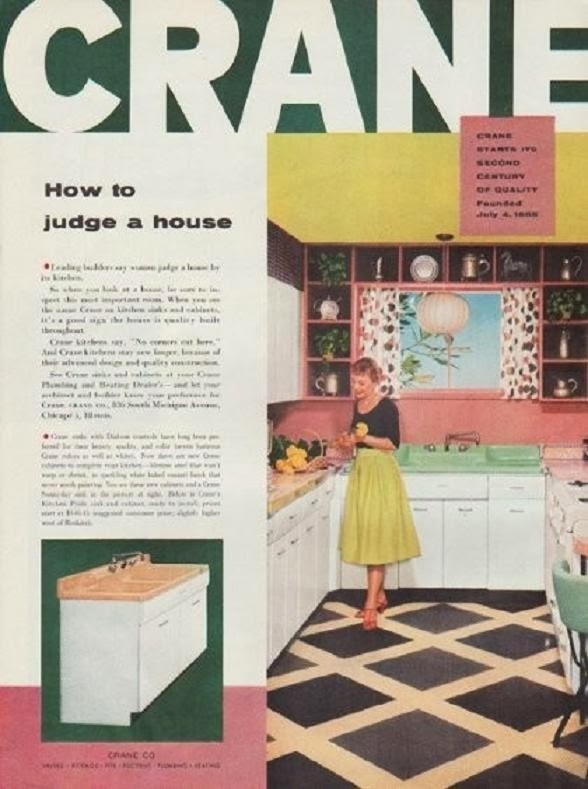 As much as I love a pink kitchen, my first love was for green and yellow kitchens. 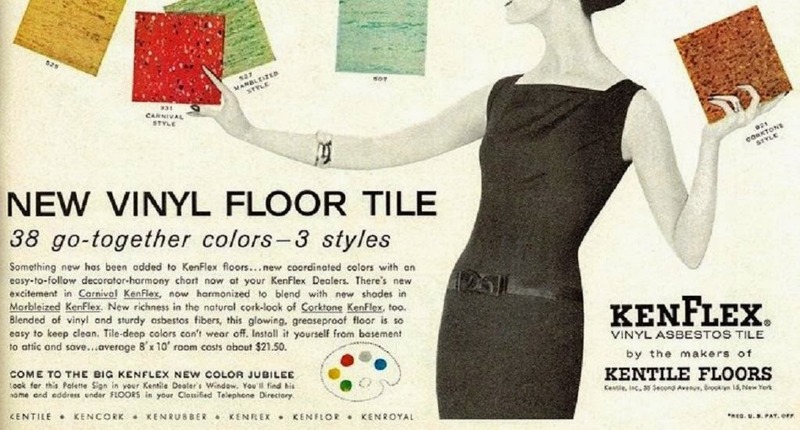 I love the idea of a checker green floor using those old asbestos vinyl tiles. Which of course we all now know are not exactly a positive product, to have in your home. But my goodness they were beautiful. Just look at those amazing speckle tiles. Just gorgeous! And to be honest if you have the old tile floors in a home. They are fine, as long as you don't rip them up. And release the asbestos fibers in the air. 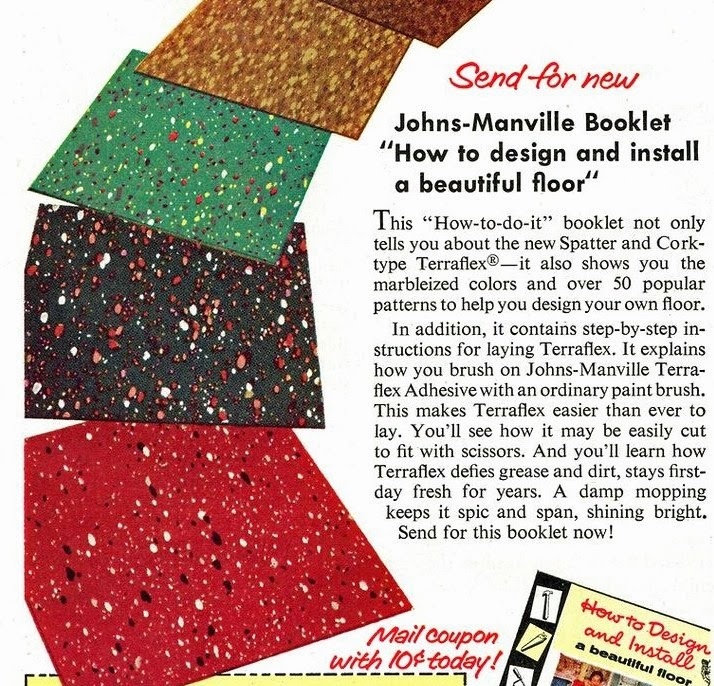 But if you ever tired to remove these old vinyl flooring tiles... you find out real quick they were meant to last. Forever. The glue used in the installation is extremely durable. And apparently just as scary at the tiles them self, to remove. 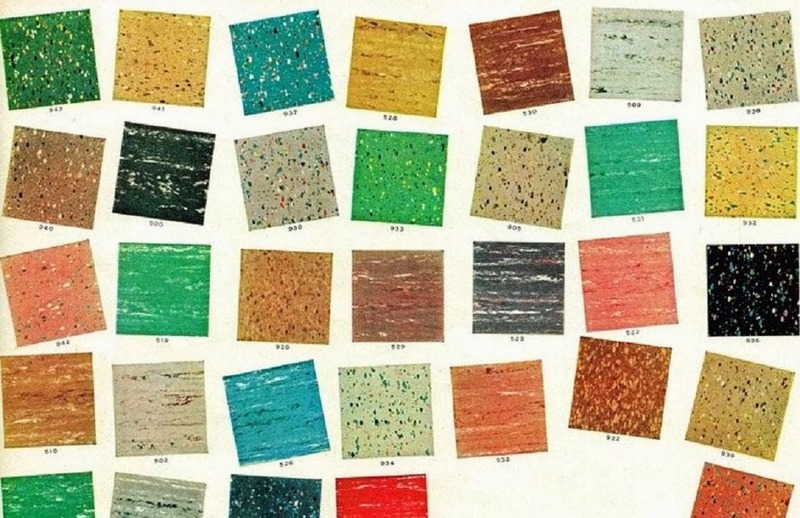 Which is why if you have toured a lot of older homes built prior to 1970, there is a reason you will see these old colorful floors still down. The tiles held up and really are a pain to remove. So they were just left in place. And this was before everyone knew about the dangers of asbestos. But look at all those amazing colors! Look those cheerful green tiles! Even the turquoise ones are just divine. 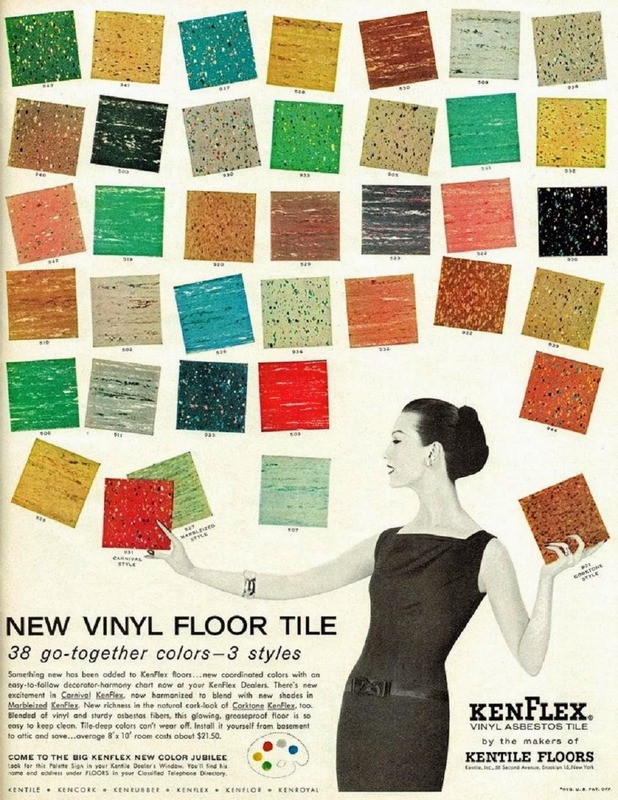 More green checker floors in this vintage Wear-Ever aluminum cookware advertisement. And now back to the original image I started with. 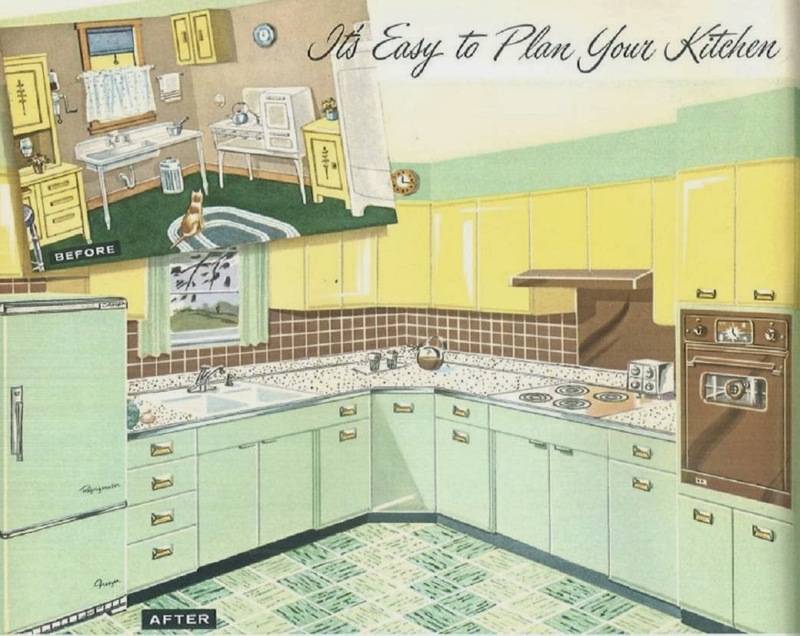 This is from a 1958 Sears Kitchen Plan book... and it is filled with amazing images. 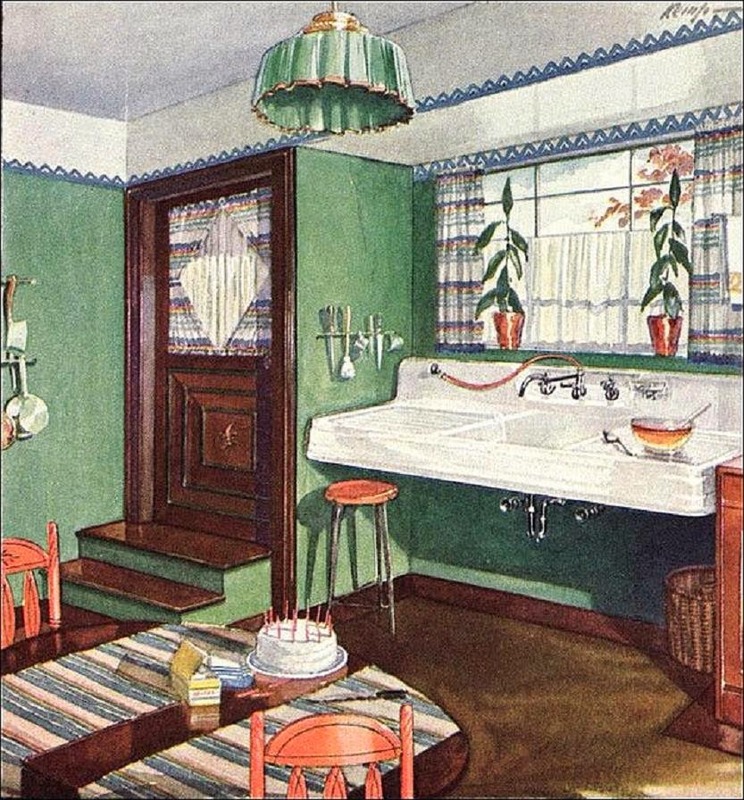 Lots of plans on how to update your old 1920's kitchen to a new fabulous Mid Century kitchen! Well worth flipping through the online booklet, just to see the amazing art work. I love green kitchens...I have a green stove and fridge.